First and most importantly, your dog should have a microchip. If a dog is lost and has a microchip and if a good Samaritan takes him to a veterinary clinic or if the dog gets picked up by Fort Worth Animal Care and Control, they will be able to contact you through your registration information. A collar with a rabies tag or a name tag will help someone contact you if your dog is lost… unless the dog slipped it while you were out walking, or it came off when he crawled under the fence, or any one of a number of scenarios. 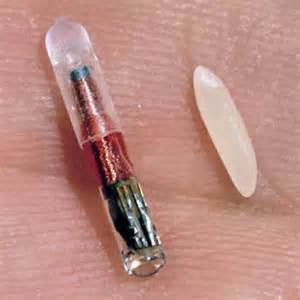 A microchip is approximately the size of a grain of rice and is injected under the skin between the shoulder blades. The procedure is no more traumatic than your dog’s annual shots and bloodwork, takes less than a minute, and costs less than an office visit, so if your pet has not been microchipped come down to our office and do it today! If your pet has not been microchipped, there are several places your pet might be taken. Fort Worth Animal Care and Control is the city agency that is responsible for picking up, housing, and adopting out lost and stray pets. If your dog is lost and does not have a microchip, it will often be taken to the Chuck Silcox Animal Control facility. You may need to make multiple visits to the animal control facility… just because your pet isn’t there on the first day he goes missing does not mean he will not end up there four days later. Nearby animal clinics may also be temporarily housing your pet. You should also put up flyers in your neighborhood, at nearby convenience stores, and at nearby veterinary offices. Social media is also a powerful tool, so share your lost pet’s picture and ask your veterinarian to share the picture on Facebook. Persistence is important… I spoke to a woman whose pet had ended up in an area animal control facility, and was then adopted out to a new family. Somehow, after multiple months of searching she was able to track down the family and get her dog back. It’s worth noting, though, that all of that could have been avoided if her dog had been microchipped, and she told me that story while I was microchipping her dog.